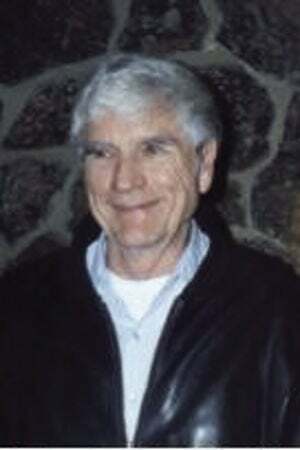 John C. Grubb died in his sleep on March 27, 2019, at his home in Longview. He was born on December 28, 1933 in Washington D.C. He was the direct descendent of John Grubb, one of the first colonists of the West Jersey Colony in 1677 near the site of what is now known as Grubb’s Landing in Delaware. He grew up in the Washington D.C. area. John was listening to a Redskins football game on the radio when he learned about the attack on Pearl Harbor in 1941. As a teenager he coached Boys Club baseball. John met his wife Virginia Garrettson at a softball game where they immediately fell in love. They were married on September 29, 1956. Three children soon followed: Bonnie Grubb (Garry Austin); Daniel Grubb (Jennifer Love); and Kathleen Grubb (Ronald Lamb). John moved his family out to Washington state to escape the racial turbulence of the early 1960s. He arrived in Longview in 1963 and never looked back. He was employed as a lab technician at Longview Fibre until retirement. John coached Little League and Babe Ruth baseball for seven years. He excelled in organic gardening. He was also a hunter, fisherman and avid reader on a variety of topics. He visited 49 states in the course of his lifetime. John was a kind and honest man who was absolutely devoted to his wife of 62 years. He is survived by his wife and three children along with five grandchildren and five great grandchildren. He loved and feared God and lived a life that exemplified Christian virtues. John is loved and missed by all of his family as well as his many friends. There will be a memorial service for friends and family at the Steele Chapel on Friday, April 5 at 1:00 p.m.
We hold you in our hearts, until we meet again. ❤❤❤😥 Love you, Grandad! !